After waking up yesterday morning to another beautiful day of sole (I really don’t understand how italy had so much pioggia before we came. 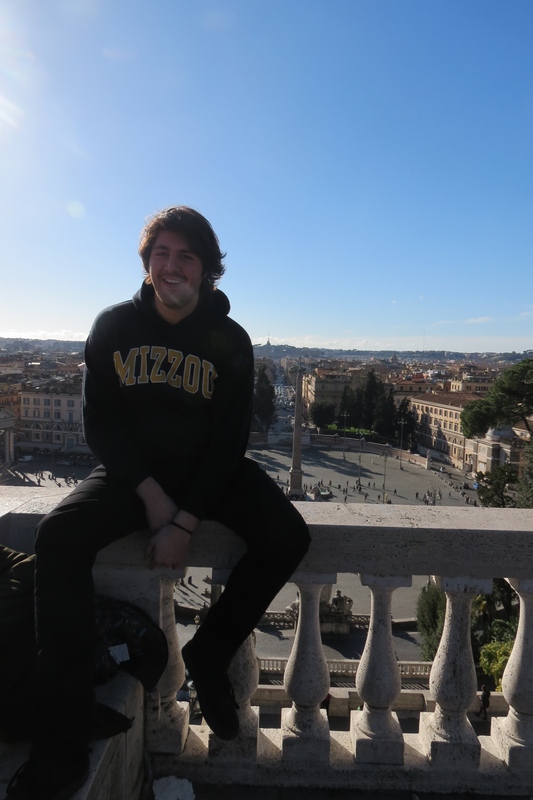 I must of brought the sunshine with me), unfortunately poverino Matteo didn’t get home until the 3am, but I still woke him up extra early, because hey, I’m in italy and I want to DO something! 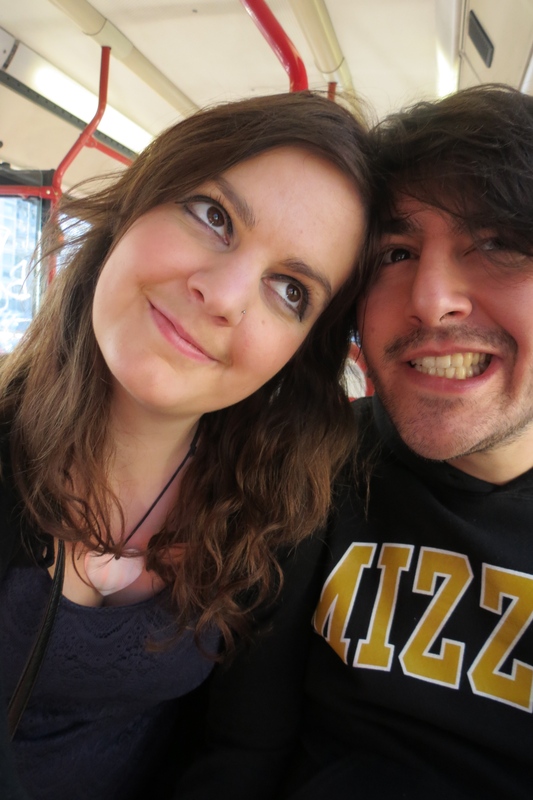 After lots of convincing, I managed to convince him to go on l’autobus with me, much to his dismay, as his sorella had la macchina to go to work. No one else was home when we got up, so we had a wholesome colazione of muesli! 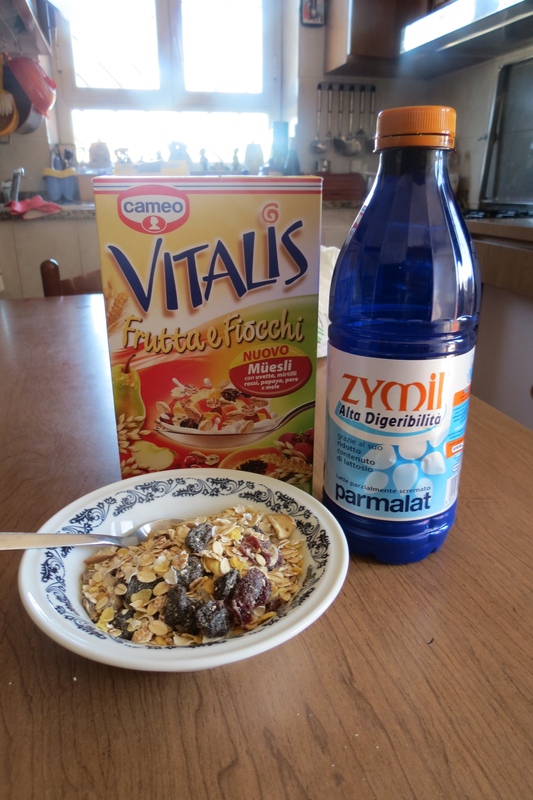 Very delicious muesli I must say! My delicious breakfast in the mornings. dopo colazione and mass convincing on my behalf, we were making our way out the door to go to the bus stop. 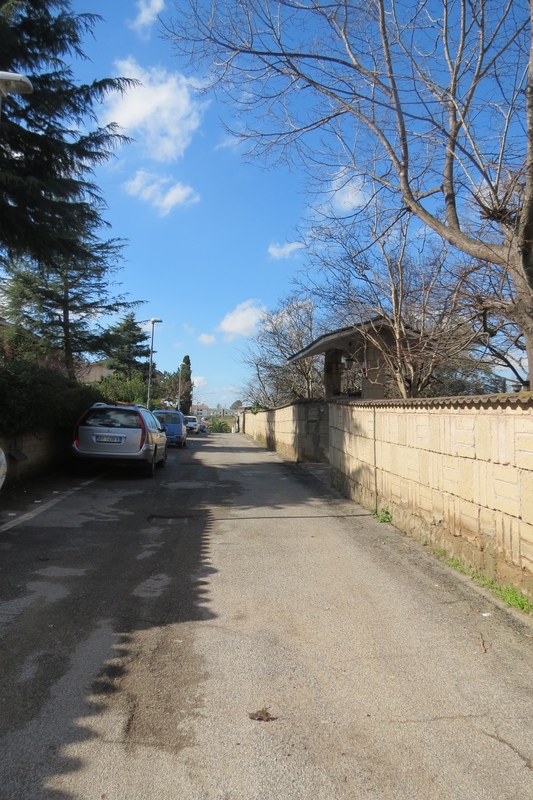 Matteo was not a happy chappy at all, I was busy relishing in everything new around me, and he was busy getting annoyed before l’autobus was meant to arrive at mezzogiorno but it didn’t end up coming until about 12:30pm, so we had waiting for a good half an hour. It didn’t bother me, I was enjoying looking around the little space I had to view around the bus stop. Thankfully it finally did arrive! Walking down the road to the bus stop! random graffity, clearly from a girl, as daniele is a common boys name over here! finally made it on to the bus! 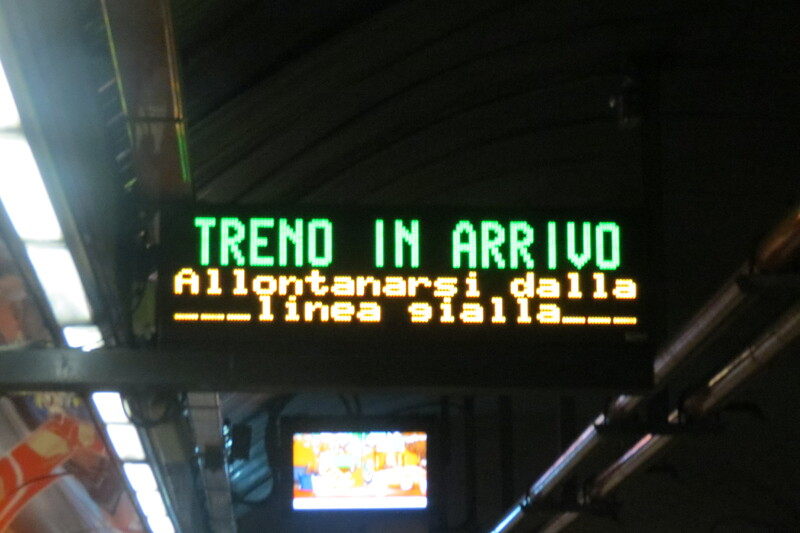 After two buses and a train we finally made it to stazione spagna! 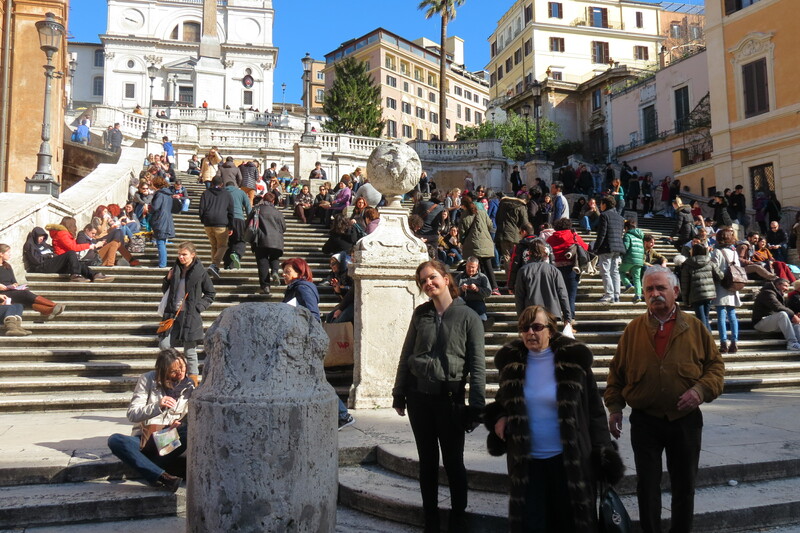 So we could go and enjoy the spanish steps again. 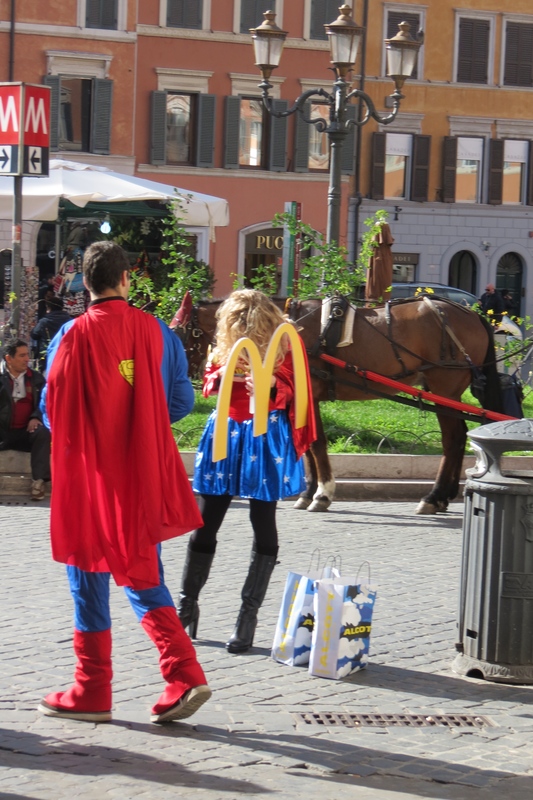 Unfortunately the little fountain there was closed for renovations, but we got to see the beautiful horses they have by the steps, and I randomly spotted superman advertising for mcdonalds with wonder women! It was such a packed day! 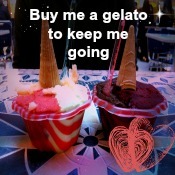 But I guess that is expected even if it is still inverno. If it’s a beautiful day, the tourists will come to play! Super man and wonder woman just hanging out. 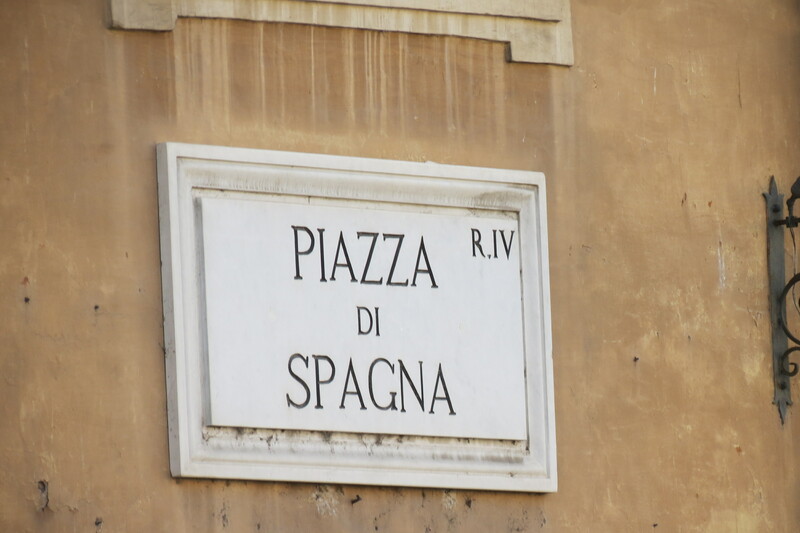 I really love the beautiful street signs in the middle rome! 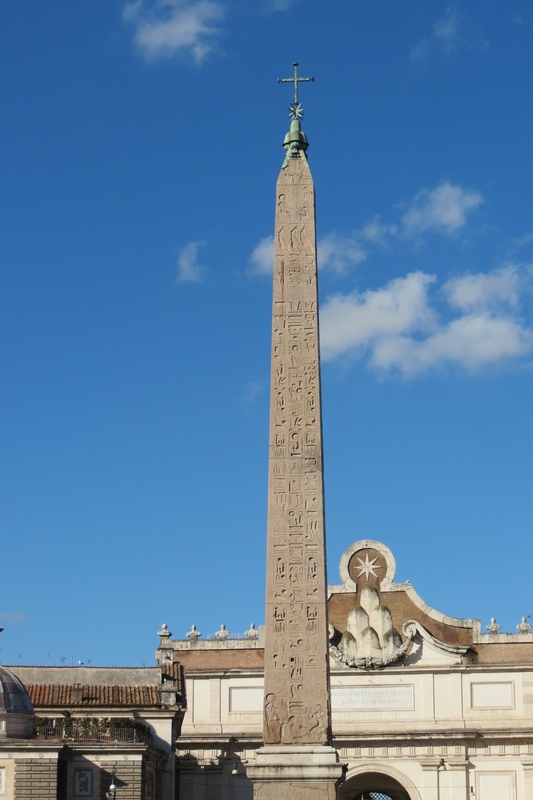 After pranzo we made our way to piazza del popolo which literally means in modern italian “People’s Square” It has the beautiful Eqyptian Obelisk of Ramesses II that was brought to Rome in 10BC by order of Augustus. 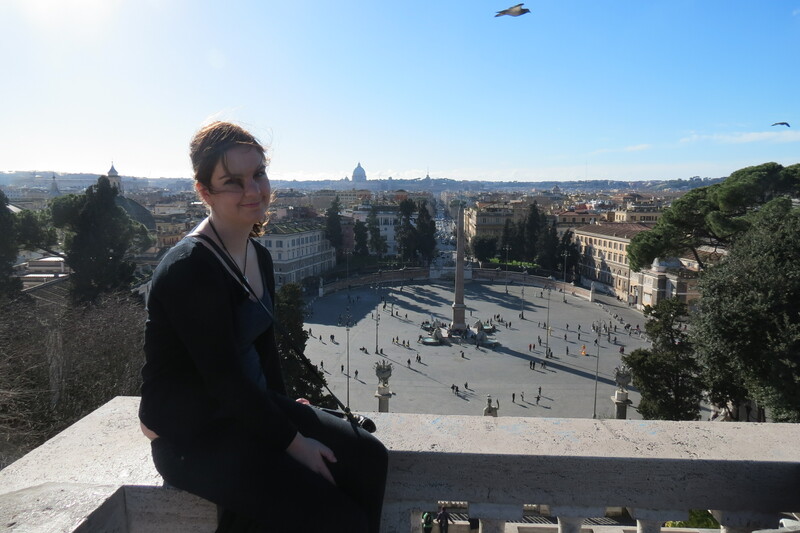 When then made our way up the pincio or pincian hill to view Rome from on high, and boy was it breath taking! 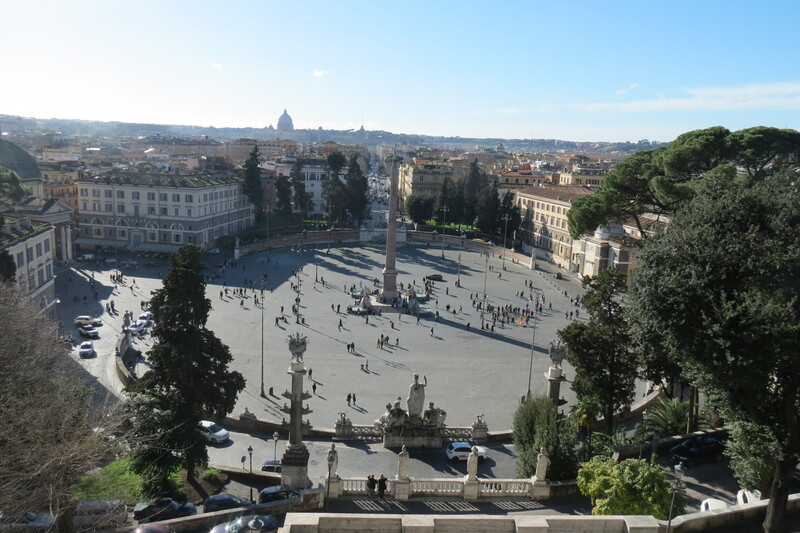 From the top of the pincio you could see all of la bella roma. We ended up getting sucked in by one of those typical rose sellers, he actually gave me a rose for free, but then he put this Bangladeshi bracelet on both Matteo and I. It’s a wish bracelet from his country, he foretold that I would live to be 102, and we would both get married and have beautiful children. And that Matteo would live to be 103. 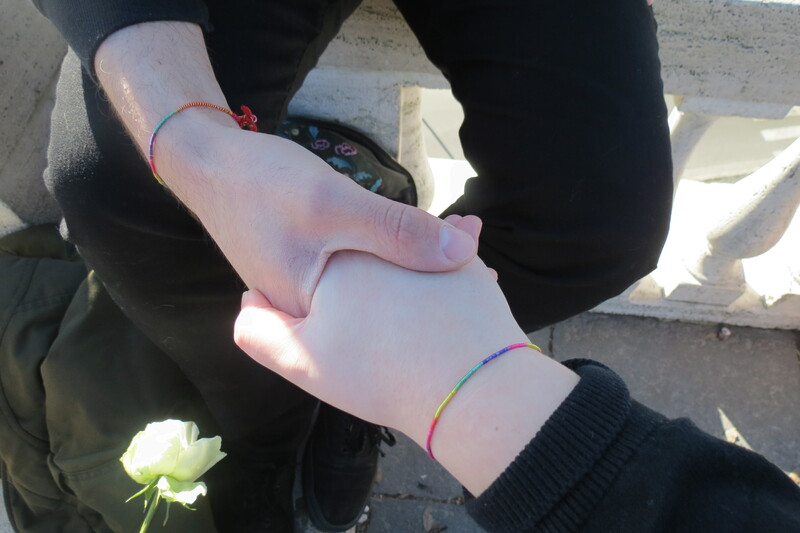 He put the bracelets of us, then asked for 2 euro. luckily it was only 2 euro! Matteo was telling me that they say everything is free until the ask for money. When the rose seller found out I was from New Zealand, he started saying CRICKET CRICKET! Then went on to tell me how Bangladesh bet New Zealand the last time. (I don’t really follow cricket so I just nodded a lot and said ahhh ok) We finally managed to get him to leave us alone, and we made our way back home. 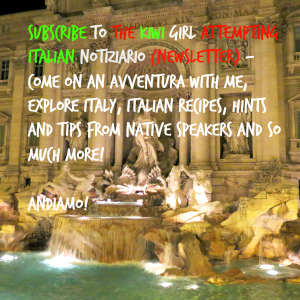 We caught the train to stazione cipro and then made our way on the bus from there to the supermercato. 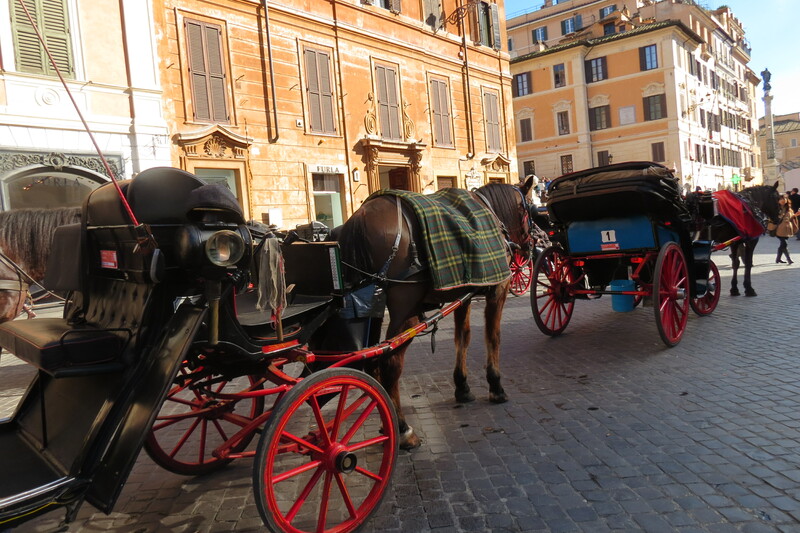 During the bus ride I was high five-ing Matteo, asking what is this in italian, and it’s batti il cinque but the way you pronounce it makes it blend into 2 words – battil cinque… Now I LOVE italian supermarkets, they just look so amazing, and I also love paprika pringles! And they only taste good from italy, I know this because last year when in germany I bought some paprika pringles over there, and they tasted horrible! Italy does paprika pringles the best! So we treated ourselves to paprika pringles, and l’aqua naturale, and I got some of my favourite Ultra dolce shampoo, so I can take it back to londra with me! And they have the funniest strangest vegetables! 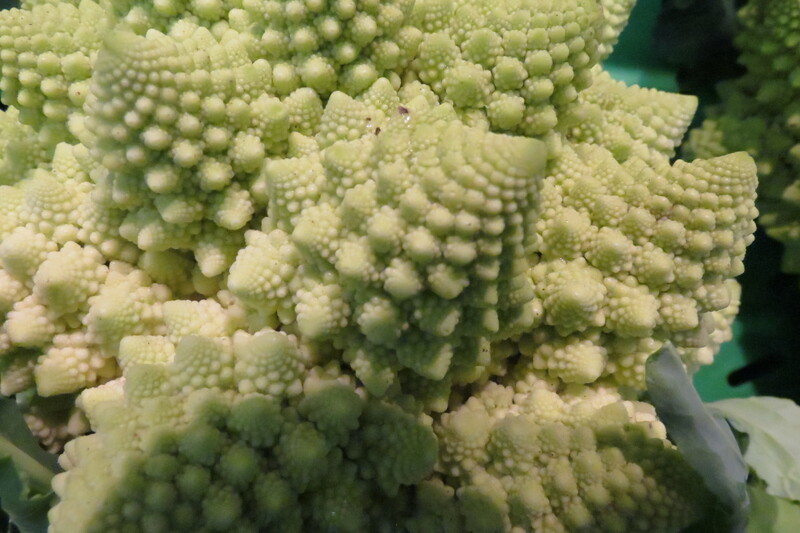 We found a random looking italian broccoli that looked so weird! 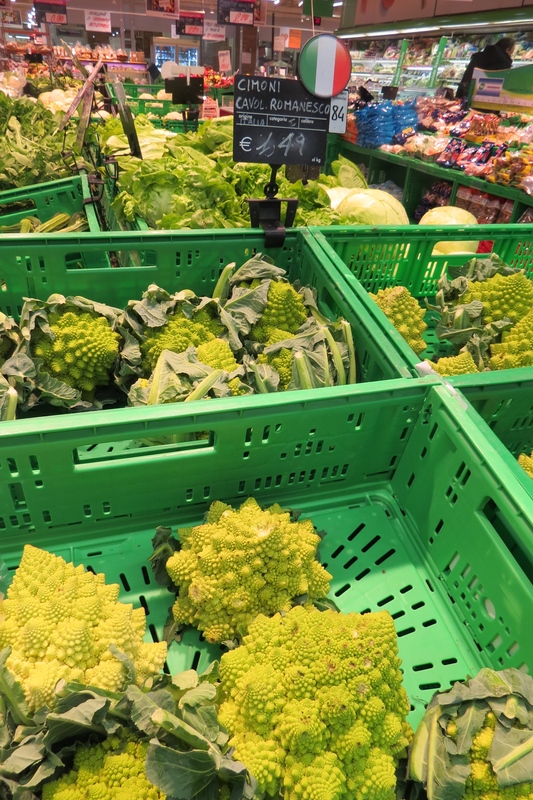 On my last day in italy, I am so going back to the supermarket to stock up on things to take back with me! haha After doing our little shop, we made it back to the palazzo, where it was nap time for me! Because I get so tired easily when I’m doing different things from my usual work life. 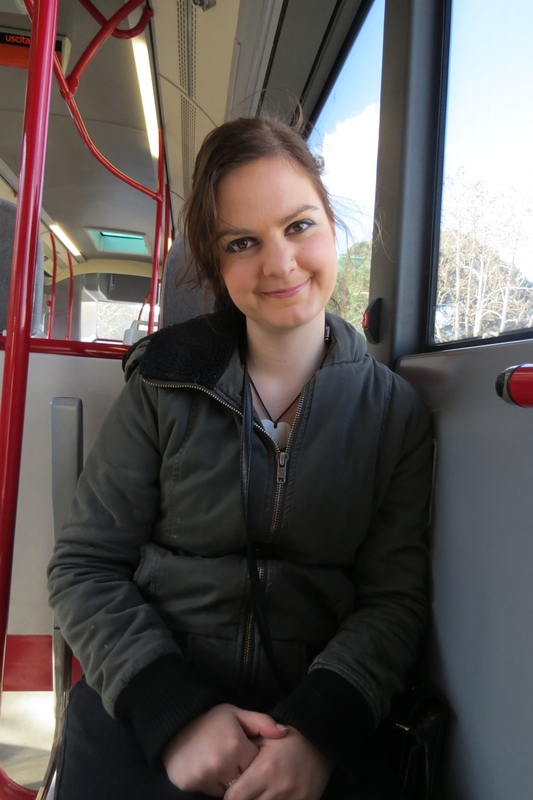 Selfies on the bus – where the only ones of the bus!